What’s a VKM? A Vertical Kilometre (VKM) is not really my cup of tea – intense uphill running – but it was good experience. For the European VKMs, the courses are supposed to have 1km elevation gain within 5km (or less) of course – think 20% gradient and hiking/scrambling uphill. It’s a bit harder to find 5km in a row of that terrain in Australia, and the Buller course was about 8km long for 1km ascent, which meant the gradients would be a lot more runnable for most of the race. After 10 days off running/exercise (wisdom teeth removal and corked glute) I was pretty excited to get away for a weekend of running adventures, but also a bit nervous about remembering the old left foot-right foot routine. 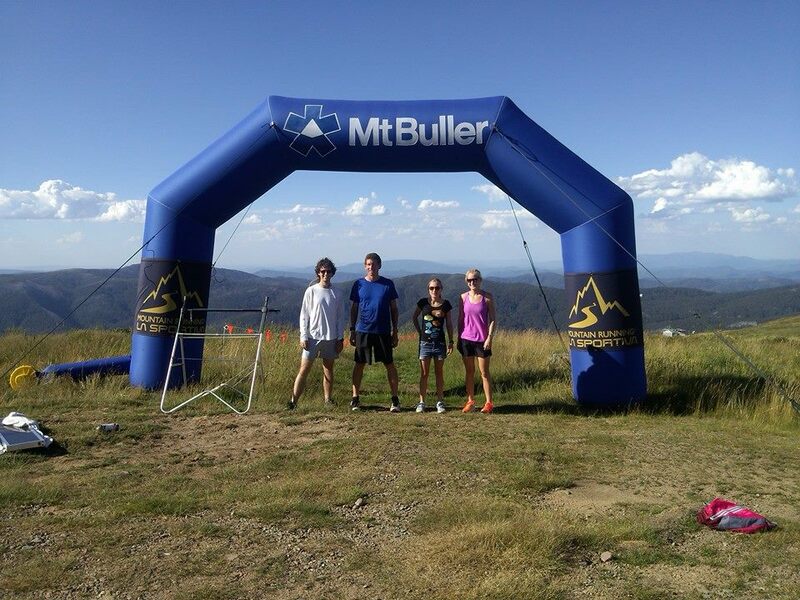 Getting to Buller early allowed me to scope out the course and help RD Paul Ashton (Running Wild) and race sponsors Matt Adams/Stephen Upton (La Sportiva/Bogong Equipment) setting up the finish line and marking the course. A dirty 6am start was necessary on Saturday so we could finish setting up the finish line, then we headed down to start line at Mirimbah to meet all the excited runners. 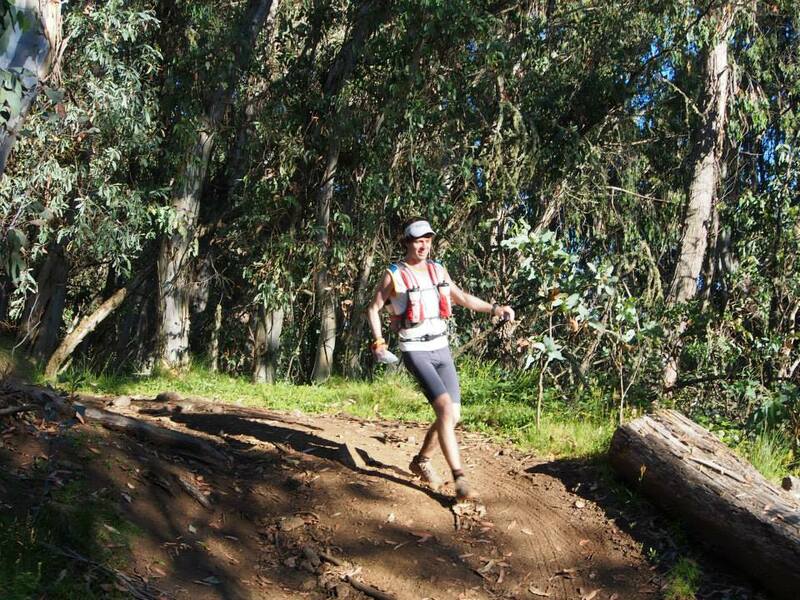 I wore the Anakonda shoes for the VKM because they’re pretty light and thin-soled (4mm drop) with aggressive tread – we wouldn’t need much cushioning for a purely uphill race. 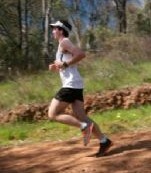 I tacked on the back of the lead pack for the first km or so then backed off into survival mode. 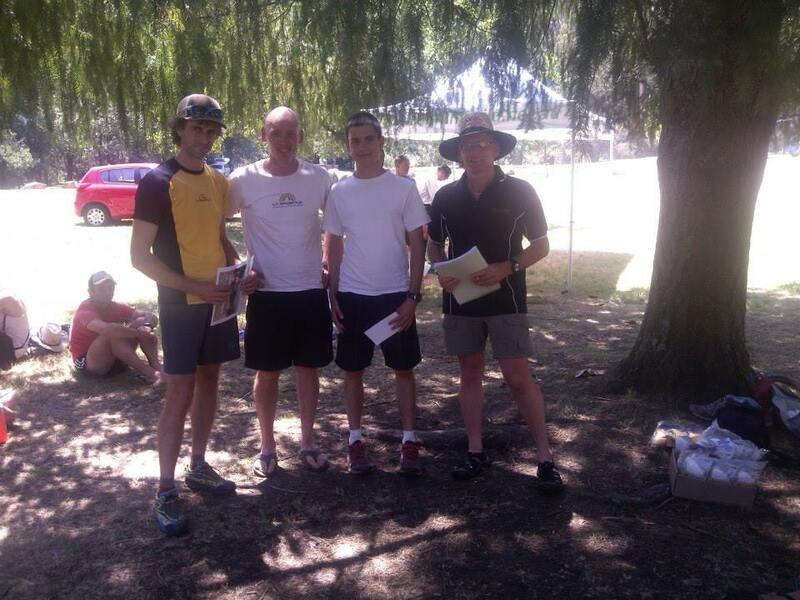 Robin Rishworth and La Sportiva teammate Stephen Upton overtook me, then I held on to 7th place in 67 mins. The winner, Jordan Harries, blitzed everyone to finish in 52mins, with Aaron Knight and Moritz auf der Heide getting under 60mins to round out the podium. Emma Kraft was first female in 74mins followed by Bronwyn Humphrys about 90s later. Saturday arvo was disgustingly hot so we packed up the VKM markers then waited til 5pm to setup the skyrun finish line down at Mirimbah and have dinner at the Merrijig pub with everyone else. 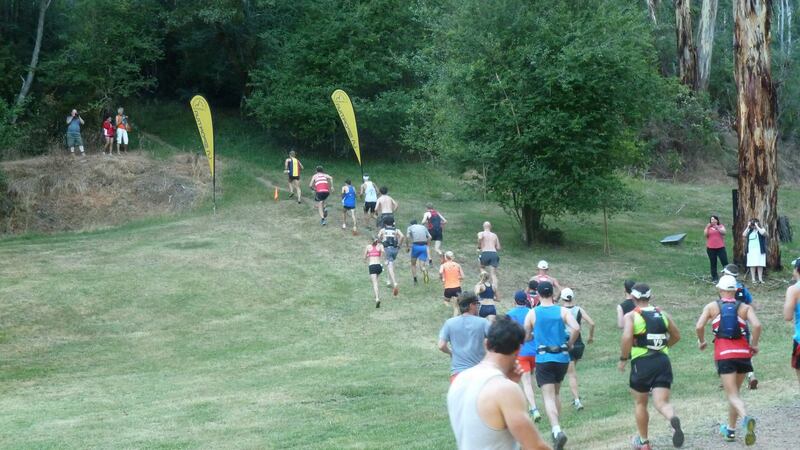 The 36/45km courses started with the same climb as the VKM on Saturday. I paced myself better today, and was only a couple of mins slower up the mountain but felt MUCH better. At the Buller summit I was sitting in 3rd position, with Moritz and Joel Fitzgerald ahead of me then a few 36km guys close behind. Cruising through the village and down to Howqua Gap was fun and fast running, then we started climbing again towards Mt Stirling. 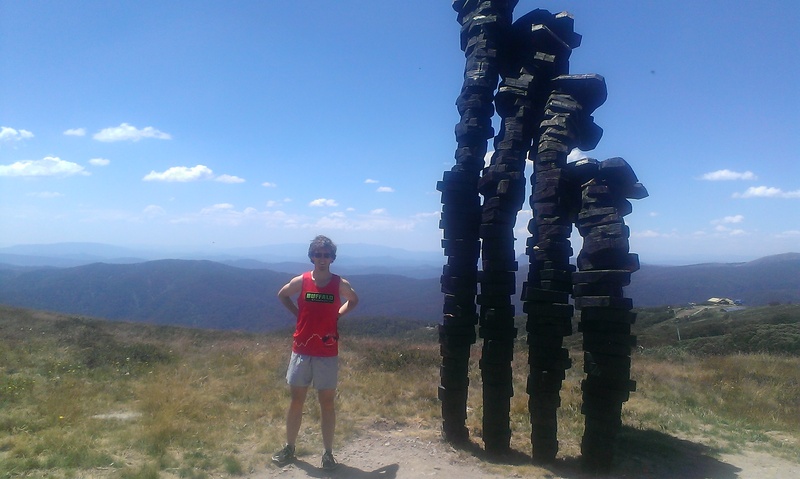 After getting back over Mt Stirling, I figured I was home free when I made it to the 10km downhill turnoff. It was a bit of a rude shock when Chris Roberts popped up behind me with a friendly ‘oh good, we must be on the right track if we’re both here’. I freaked out and tried to pull away from him, logic being if I showed/feigned strength then he would give up and back off. This made me work pretty hard for the last 6km or so, but I opened up a small gap and we ended up 3mins apart at the finish. I crossed in 4:55, happy to go sub-5hrs but pretty sure I can improve upon that next year. Moritz almost cracked Mick Donges’ 4:14 record from last year, with a big gap to Joel then another big gap back to me. Lucy Bartholomew won the chicks’ race in 5:30 followed by Izzy Bespalov in 5:44 (woohoo!). 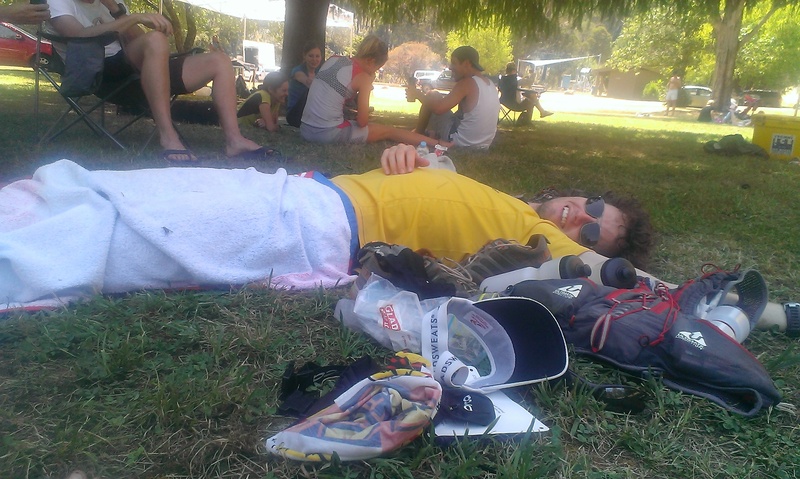 Thanks to the La Sportiva team for shoes, gear and banter over the weekend, Paul for scouting interesting courses and organising the hordes of crazy runners and to all of the other volunteers who made the weekend possible. Next up in the La Sportiva series is the Harrietville weekend on 15/16 March – Bon Accord VKM plus various Razorback options (22/38/64km), get on it. Bit of a delay getting this posted up because I started full time work this week as a graduate and it feels like a race just to get to sleep every night. I don’t know how some of you guys manage family/work/training/social/sleep!! !